Today we decided to go shopping mostly for shoes. It was not to bad, I think we had a good day. I saw some shoes I liked at the first shop we went to they were fairly cheap, but I didn't get them and by the time we went back the shop was shut :-(. 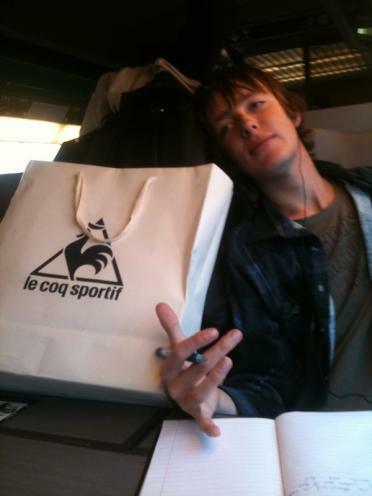 Nic brought a le coq bag and shirt. Izaac brought jeans and some vans. I didn't buy anything but I found a nice Beanie, it's a little small tho. I was also looking for a new earring. I have been wanting to try pistacio ice cream for a while now. So today I finally brought a tub of it. It was ok, but I probably won't get it again.